Sam Poh Tong has an impressive man-made pond with miniature bonsai. Overall, the place is in great need of some maintenances. 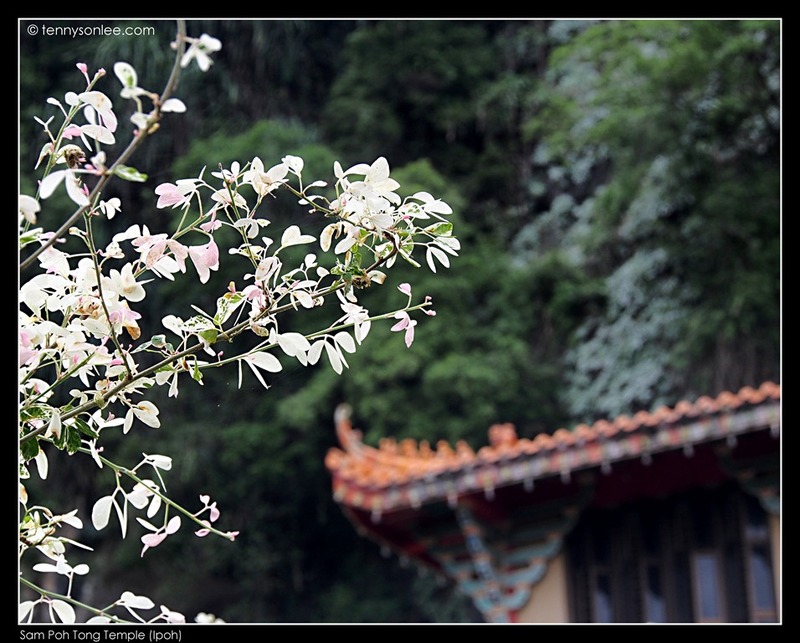 There are not many tourists as one can complete touring the cave temple in 10 minutes. 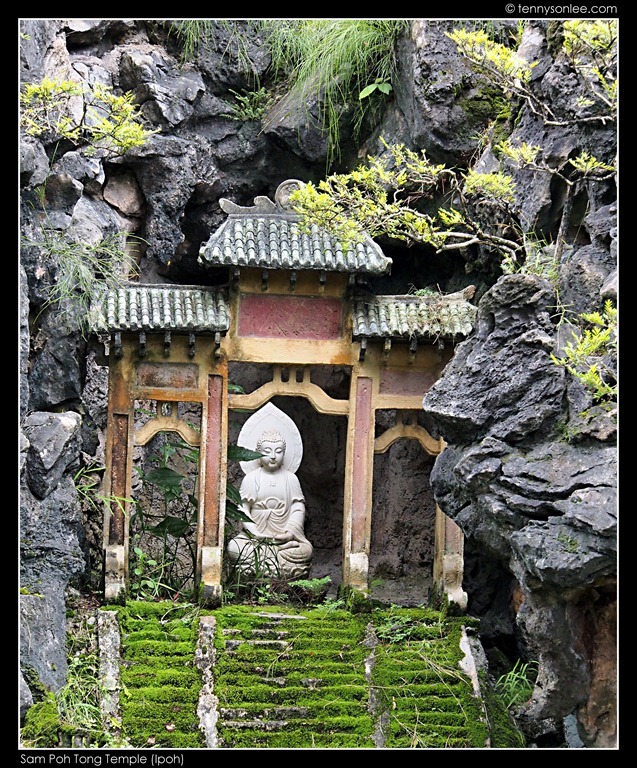 There is a magnificent temple inside a cave at the tortoise pond, but it was in sad conditions and tourists are not prohibited from entering. 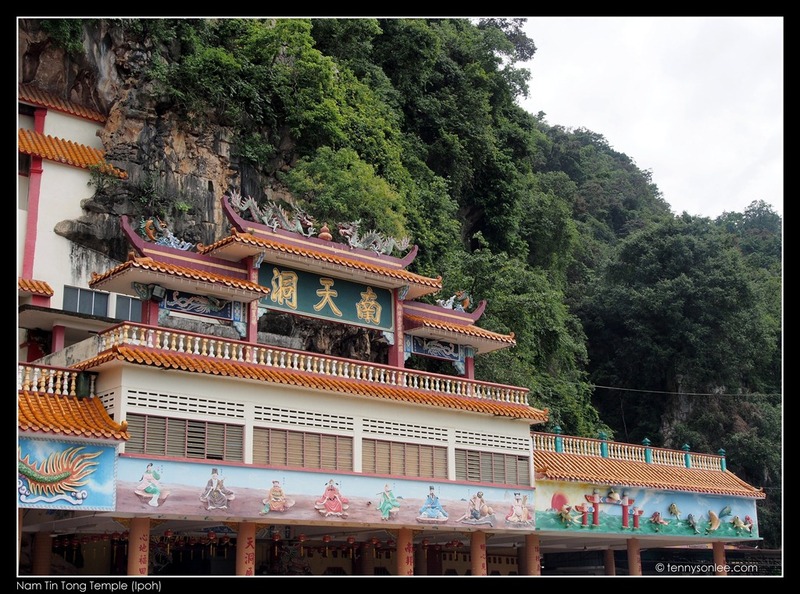 On the same road, you can find 4 to 5 other cave temples, and Kek Look Tong is just few minutes drive nearby. There is a Tibetan Buddhist Temple on the far end. 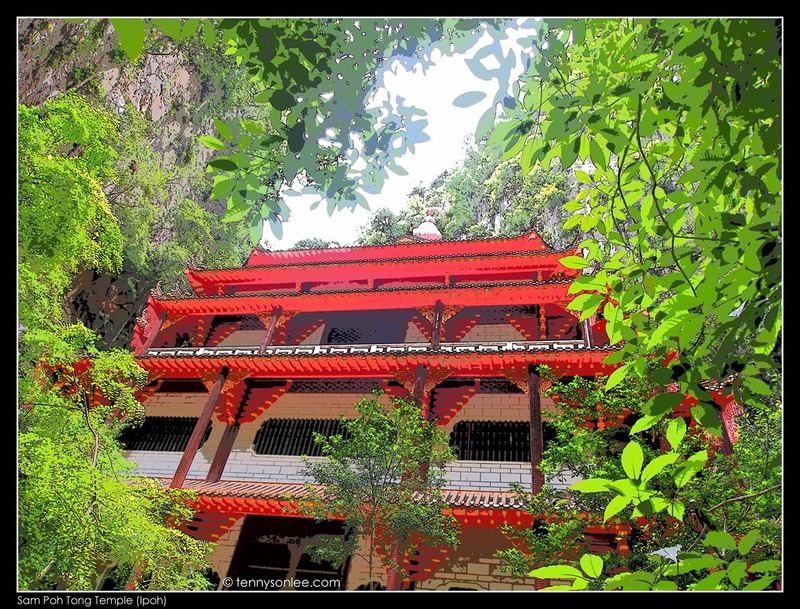 The first temple visible from Gopeng Road at Gunung Rapat (Ipoh) is Ling Sen Yan Temple 灵仙岩. 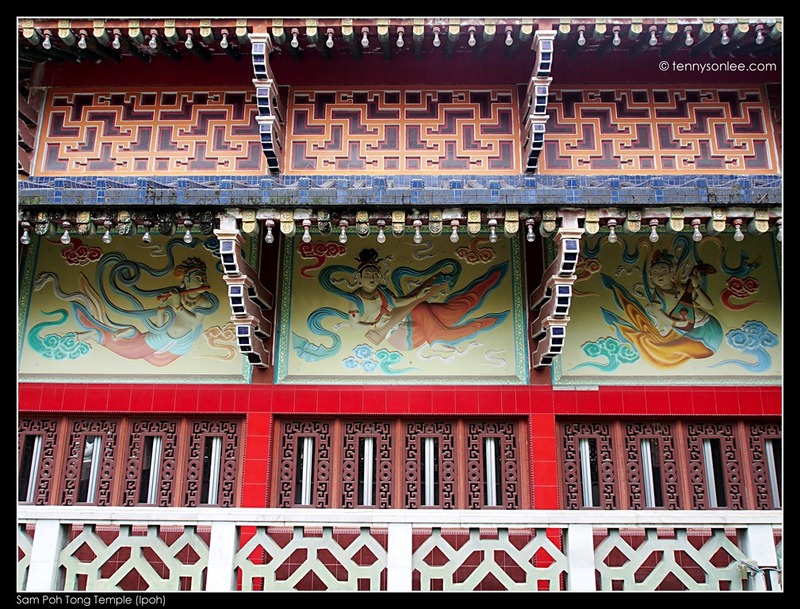 This is a Taoist Temple with plenty of man-made figures from folklore and stories. I prefer the more natural cave like Kek Look Tong. 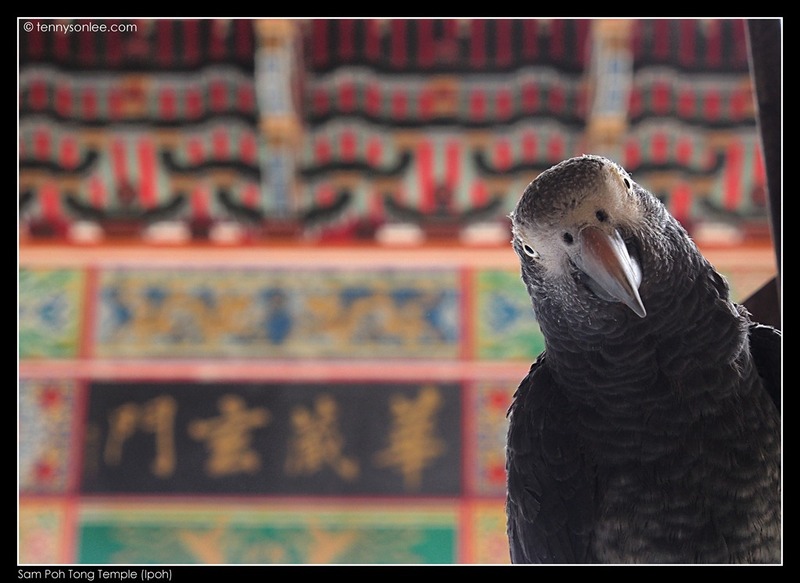 I did not stay long in this temple, and having fried noodle in the restaurant next door at Nam Tin Tong. The restaurant is a rare eatery inside temple compound that offers non-vegetarian foods (it is a seafood restaurant). There are ample parking space in Nam Tin Tong. 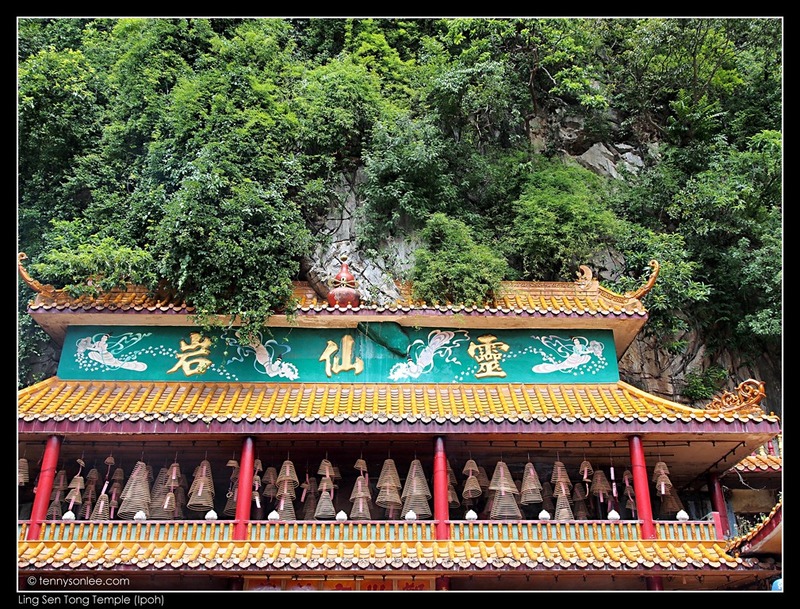 As compared to the top 3 cave temples in Ipoh, Nam Tin Tong has slightly less attractions but it is very accessible by tourists. 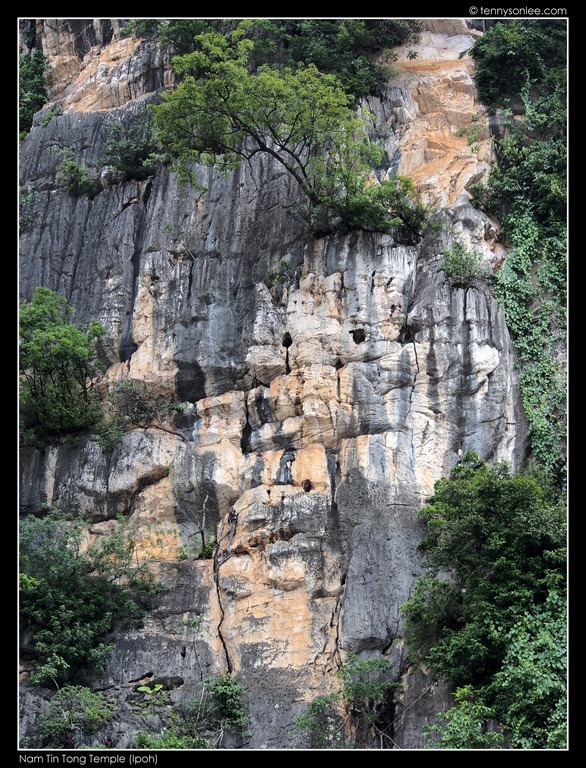 If you look up on the cliff above Nam Tin Tong, some claimed that they could see the Buddha head and face of Ganesh (Ganesha, the Hindu God with the figure of elephant). 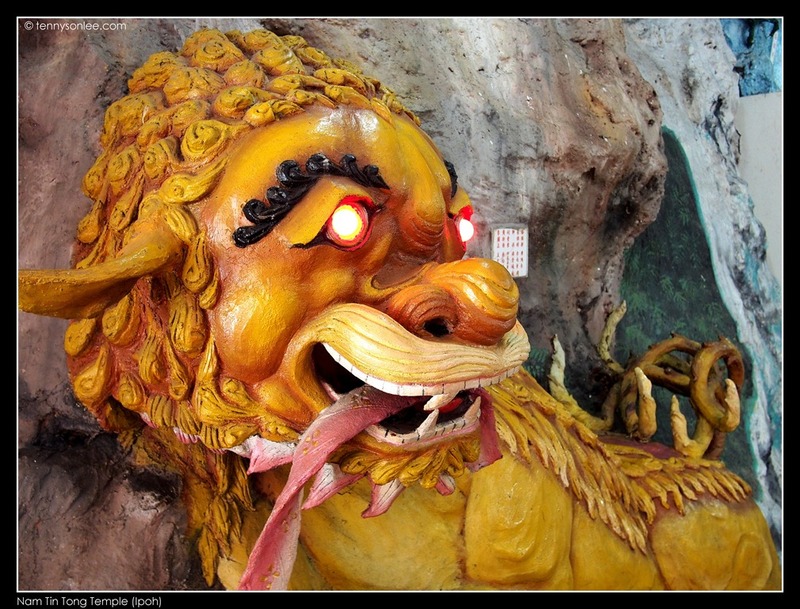 hint: Image of Ganesh is underneath the cliff hanging tree, with 2 round eyes and the elephant trunk. And the Buddha head is right below Ganesh. 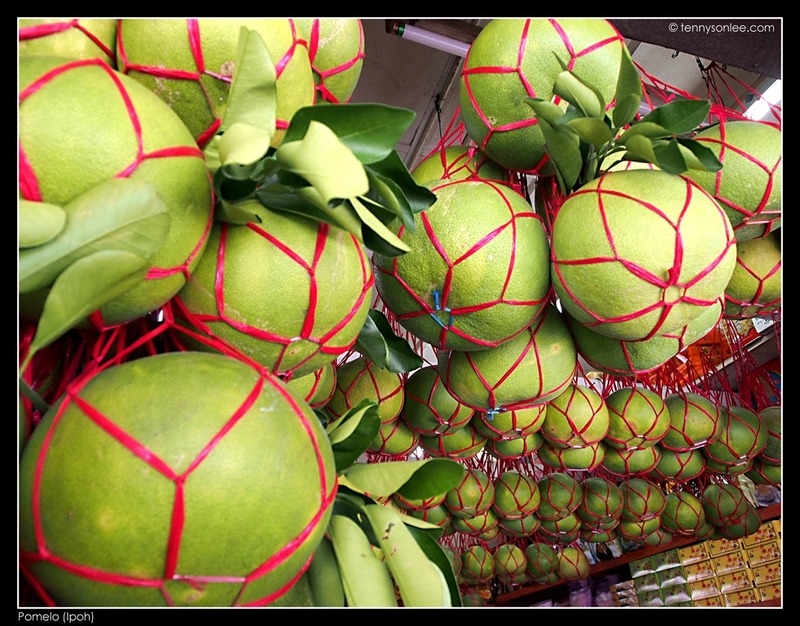 If you couldn’t see anything, then it is time to head to the nearby pomelo stalls and buy a few sweet Tambun pomelo (pink or white). 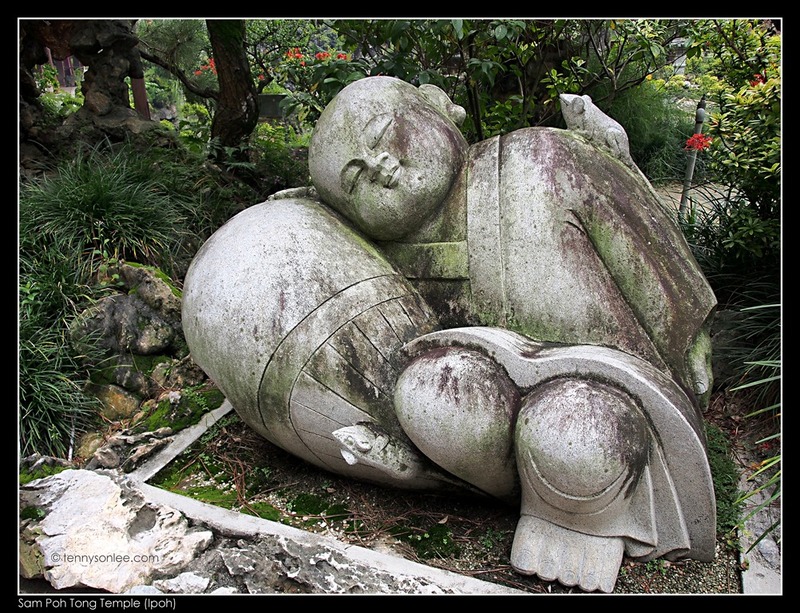 This entry was posted on December 16, 2012 by Tennyson. 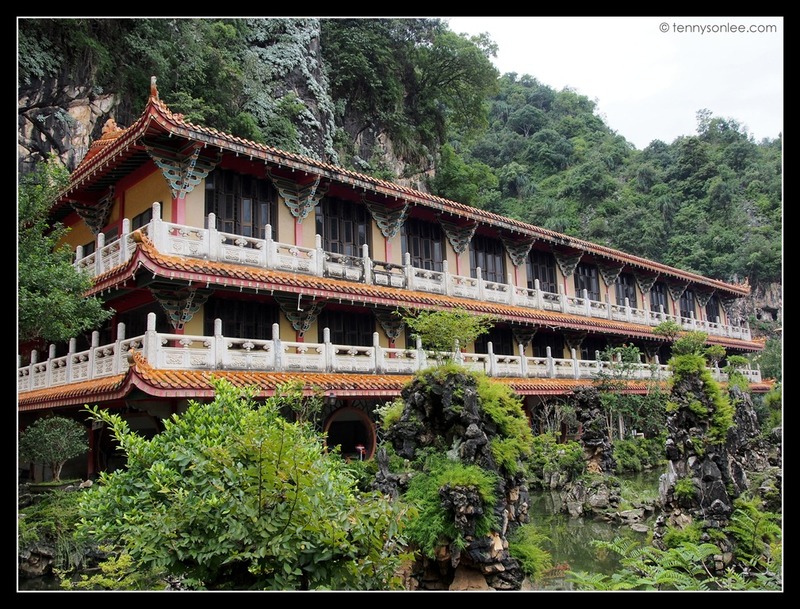 It was filed under Architecture, Culture and Religion, Landscape, Malaysia, Perak and was tagged with Cave Temple, Ipoh, Ling Sen Tong, Nam Tin Tong, Sam Poh Tong.